The sculpture images God’s hand reaching out to a human hand, reminiscent of the Sistine Chapel's The Creation of Adam. 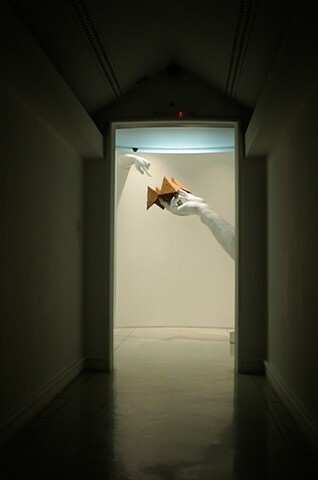 Toym Imao portrays an Asian and more elemental God with the hand coming out from the ground. God holds a cootie catcher and from which man must choose his destiny.